New releases: Wolf Alice, Tricky, Pere Ubu, Blancmange, David Gilmour, David Bowie, D.A.F. 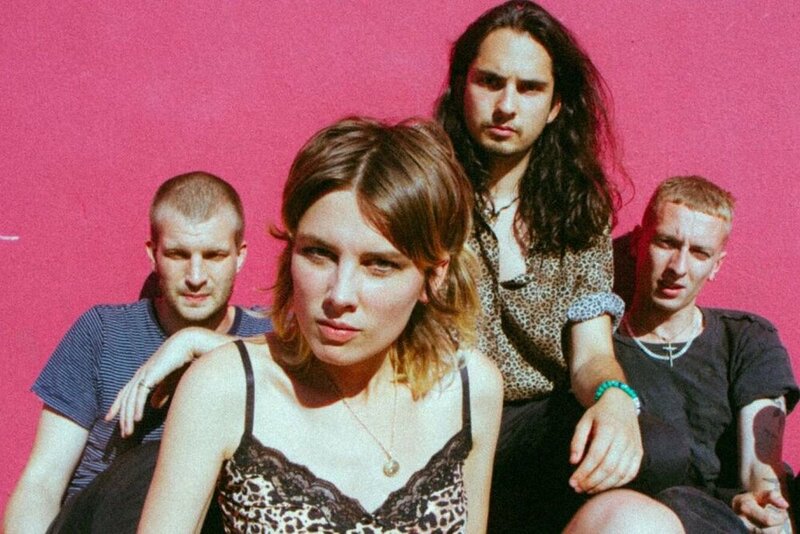 Having recently endeared themselves to an already devoted fanbase with a UK tour of small venues, the band are now spoiling them with their second album. The youthful exuberance of My Love Is Cool is still evident at times but this is at times but the question is: where they might be going next? The rebooted Blancmange have had a busy year, releasing Fader’s First Light in June and here's the follow-up. All the songs were written by Neil Arthur and co-produced by Benge who also plays percussion and analogue synth 'Don't Get Me Wrong' features fanboy John Grant on piano and backing vocals. A return to visit to the scene of his former band's famous 1972 performance but this time it's in front of an audience as well as a camera crew. Gilmour takes a run through the Floyd back catalogue but there's some of his recent solo work as well. Seems a shame that the audience chose to film this on their smartphones rather than experience the spectacle of the venue and what could be one of his last tours. Apparently the last in the Bowie boxset series focuses on the Berlin Trilogy of Low, Heroes and Lodger – albums that have not been available on vinyl for some time. Notable additions include a new Tony Visconti remix of Lodge and Re:Call 3, a compilation of single versions, non-album singles and b-sides from the period, and songs featured on soundtracks. The addition of Scary Monsters (And Super Creeps) - the final RCA album - feels a bit like a contractual afterthought. A welcome trawl through the Neue Deutsche Welle elektropunsters’ back catalogue featuring all four albums and a set of remixes – any excuse to listen to Der Mussolini.